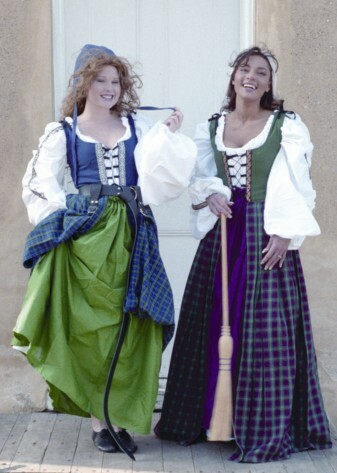 Introduced in the late 1400's, this festive dress may still be seen in Europe today. The boned front lacing and the shoulder ties make it easy to fit and wear. 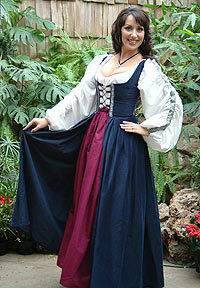 Wear it with our contrasting petticoat (included with dress) and Irish Decorated Chemise (sold separately). Machine wash, tumble dry cool. Made in the USA. Trims will vary.